09/12/2018 Mr John King and Mrs King, Blackhill, Cookstown, have received an official intimation from the War Office that their son, Private James King, of the Inniskillings, has died from wounds received in action at the Dardanelles on 14th August. Private King, who was not quite 21 years of age, joined the army at the beginning of the war. Previous to enlistment he was employed with Messrs Thomas Adair and Sons, and was very popular. The deceased’s two brothers are also in the army, Joseph being in France and John in Cork, where he is expecting to be ordered out at any time. The father was also in the army and passed through the Boer War on the Army Service Corps. Much sympathy is felt for the parents, and also the three sisters of the deceased in their sad bereavement. The sympathy of the King and Queen has been expressed to them in a note from Lord Kitchener. 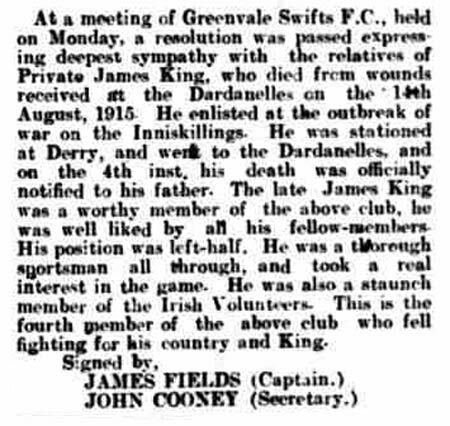 09/12/2018 At a meeting of Greenvale Swifts F.C., held on Monday, a resolution was passed expressing deepest sympathy with the relatives of Private James King, who died from wounds received at the Dardanelles on 14th August 1915. He enlisted on the outbreak of the war on the Inniskillings. He was stationed at Derry, and went to the Dardanelles, and on 4th September, his death was officially notified to his father. The late James King was a worthy member of the above club, he was well liked by all his fellow members. His position was left half. He was a thorough sportsman all through, and took a real interest in the game. He was also a staunch member of the Irish Volunteers. This is the fourth member of the above club who fell fighting for his country and King. 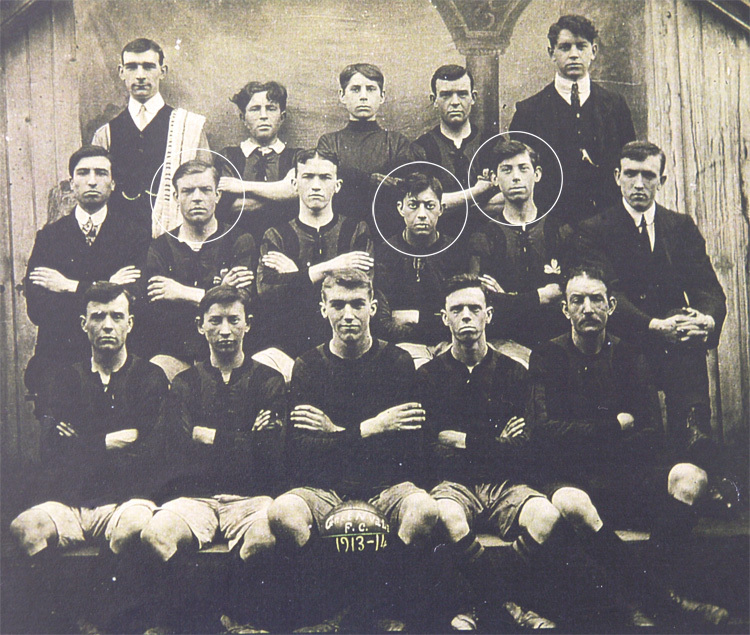 Signed James Fields (captain) and John Cooney (secretary). 13/11/2017 James King was the youngest son of John and Mary King. John King and Mary Coulton were married in Omagh on 19th November 1874. 13/11/2017 Known family: John King, Mary King, Mary King (born 23rd August 1875), John Joseph King (born 21st November 1876), Catherine King (born 29th June 1878), John Joseph King (born 23rd May 1880), Eliza Lizzie King (born 2nd September 1884), Rebecca King (born 9th May 1887), James King (born 4th August 1889), Sarah King (born 20th January 1893). 13/11/2017 James King was born 4th August 1889 in Omagh. He was one of eleven children, eight surviving. All the children were born in Omagh. 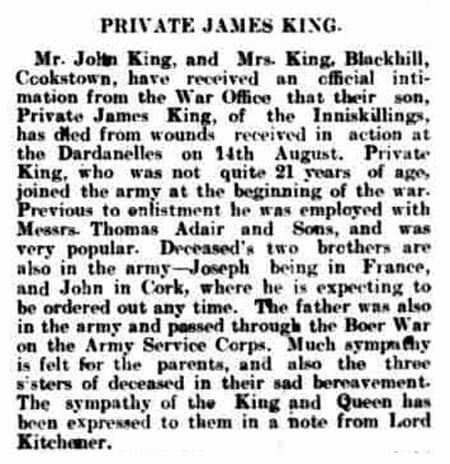 08/08/2016 Mr John King, Blackhill, Cookstown, has received official notification that his son, Private James King, Royal Inniskilling Fusiliers, was killed at the Dardanelles. Private King, who enlisted shortly after the war broke out, was only about 20 years of age, and was employed at Greenvale Mills. 30/12/2015 The CWGC record Private James King as the son of John and Mary King of Blackhill, Cookstown, Co. Tyrone. 30/12/2015 James enlisted with the Royal Inniskilling Fusiliers in Omagh on 8th August 1914. 30/12/2015 The 1st Battalion Inniskillings were in the Helles sector at Gallipoli and were soon to leave for the Suvla Bay area, but on the night of August 14th 1915 the Turks exploded a mine that had been tunnelled towards the Inniskilling trench lines. This precipitated wave after wave of Turkish attacks, which were beaten back from the Inniskilling lines. 30/12/2015 Captain O’Sullivan and Sergeant Somers beat back the advancing Turks with bomb after bomb and held their line, an action that would warrant both men the Victoria Cross. 30/12/2015 Private James King was seriously wounded in the attack and died a short time later on Saturday 14th August 1915. 30/12/2015 The 1911 census lists James 23 years old. He is recorded as a mill worker. 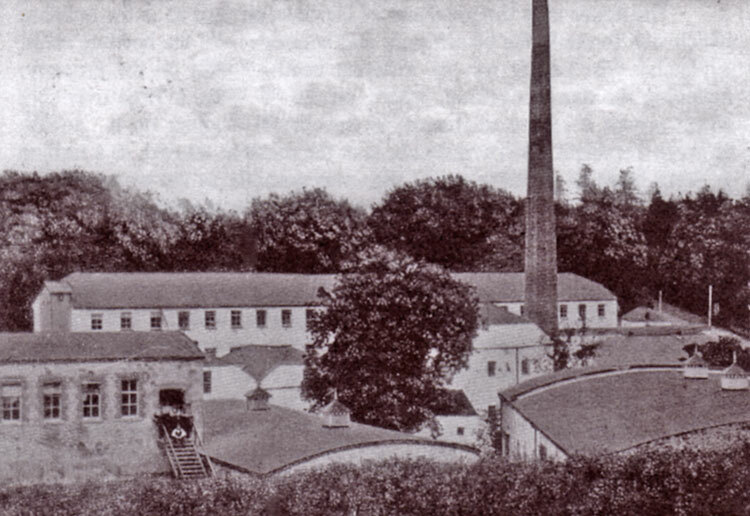 He worked at Adair’s Mill, Greenvale, Cookstown. 30/12/2015 James played regularly for the local Greenvale Swifts Football Club alongside his team mates Michael Lawn and John McCaffrey, both of whom were also killed in action. 30/12/2015 Private James King and was posted to the 3rd Battalion. He was subsequently attached to the 1st Battalion. 30/12/2015 The 1901 census lists James as 10 years old, living with the family at house 22 in Blackhill / Derryloran in Cookstown. His father John King was a farm labourer. His mother was a domestic servant. James is listed as a scholar and was educated in Cookstown. 30/12/2015 Private King has no known grave and is commemorated on the Helles Memorial in Turkey. 30/12/2015 Private King left for the Dardanelles with a draft for the 1st Battalion.